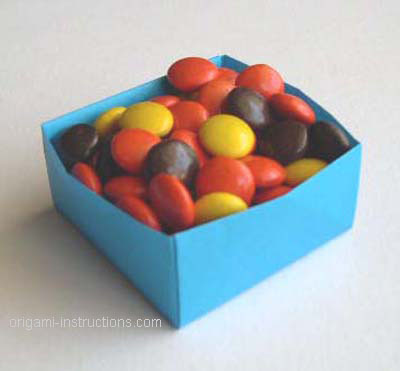 The origami box is simple to make, and can be used to hold other origami pieces. Or important stuff, like candies. 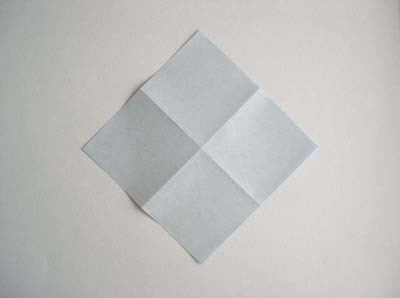 This	origami	box	is also called Masu, which is Japanese for a square wooden box. 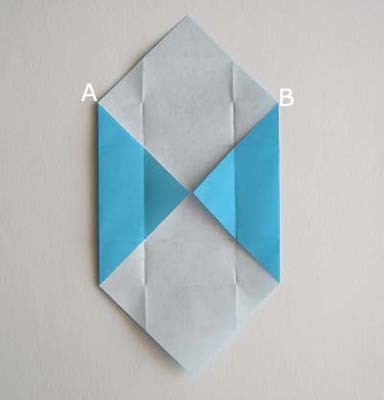 Follow the step by step photos to make the origami box. 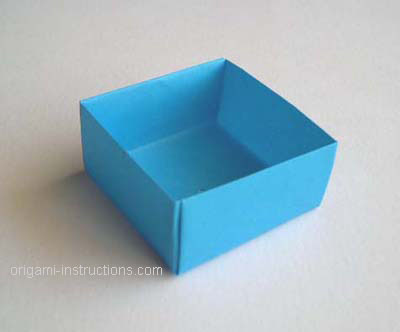 If you prefer, we also have origami box video instructions. 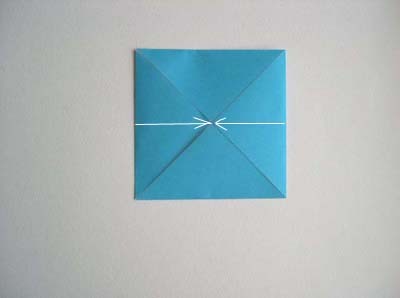 If you like this, you may also like the origami star box and origami pleated box. If you want a box with a cover, check out the origami box with cover page. 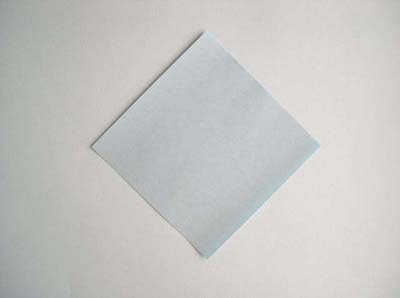 Start with a square 6" x 6" (15cm x 15cm) origami paper. 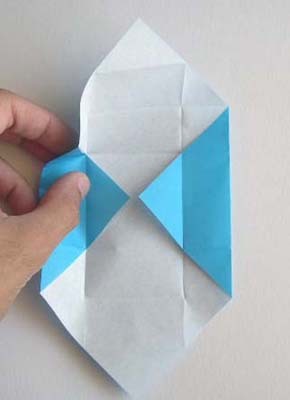 Flip the sheet so that the colored side is face down. Now make two mountain folds as shown. 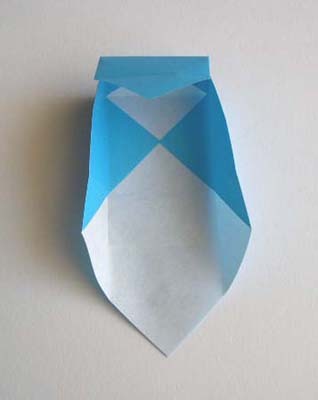 Using the mountain fold lines as guides, fold the four corners of the paper into its center. 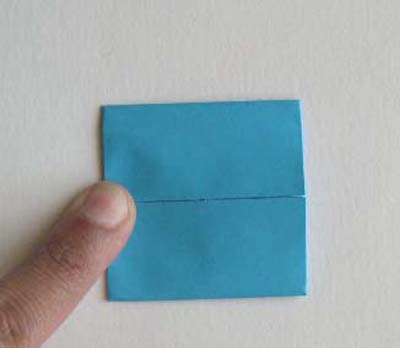 Then fold the right edge and the left edge into the centerline. 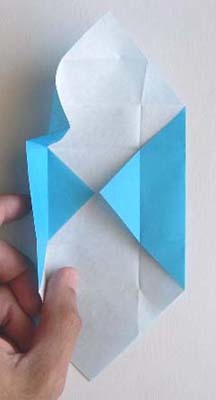 Now fold the top edge down and the bottom edge up, as shown below. Then I'm going to ask you to undo the last two-and-a-half steps! The unfolded paper should like the one below. 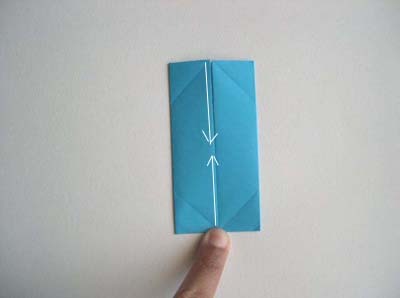 Now put your finger behind point A and do a reverse fold as shown as shown in the next 3 photos. One side of the box will be formed as you do this. Do the same for point B and the other side of the box. 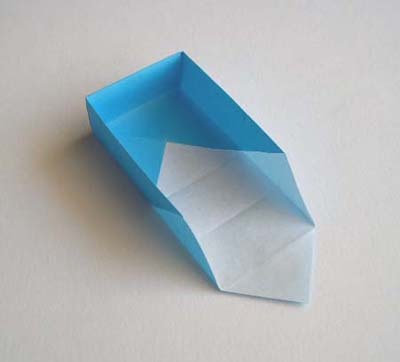 Now tuck in the flap as shown to form the third side of the box. Turn the box around and repeat the sequence of the last 5 photos. 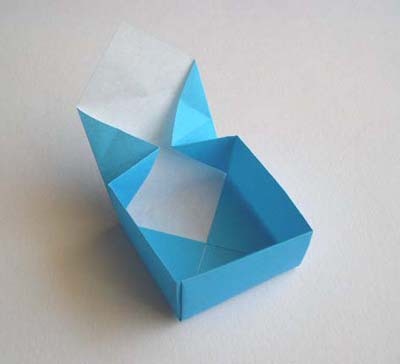 You now have an origami box! 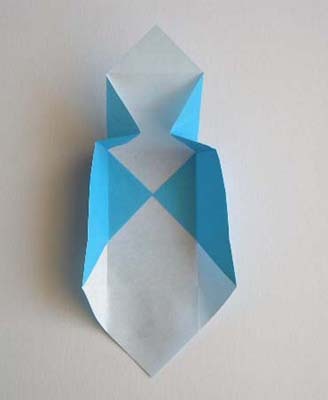 Check out all the origami box photos that we've received from readers of this site!